As in science fiction tales, the editorial deals with an alien catapulted on earth. She brings love and peace with her, relieving our society anger, anxieties and worries. The world around her is full of conflicts and tensions, but the alien defeats all these bad energies by spreading out happiness and peacefulness all over the universe. On July 11, 2011, 24-year old aerialist Seanna Sharpe climbed the Williamsburg Bridge with Savage Skinner, where she put on an acrobatic show 285 feet (11 stories) over train traffic at rush hour, hanging from a 20-feet double-silk cloudswing of her own invention. Vancouver Alternative Fashion Week(End) – “VALT” – is a gathering place for a unique spectacle that sets it apart from anything you will experience inside other Vancouver fashion forums. Art expressed itself freely in all forms and mediums, unabashed and unapologetic for displaying bold creativity, and presented itself with a flair outside of the confines of mainstream boundaries. Today’s MIROIR mascot muse is Sadie, shown here as the mirror ball guardian. 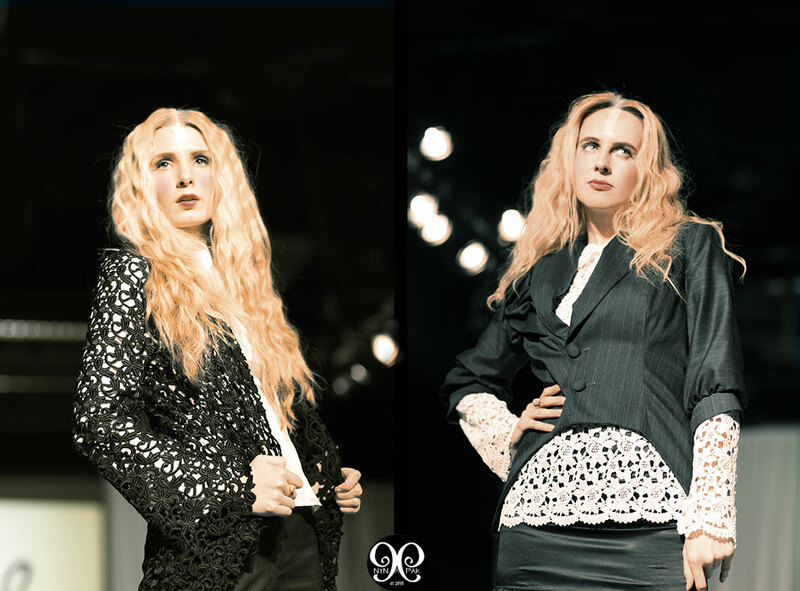 Sadie is the daughter of MIROIR Magazine featured artists, Elizabeth McGrath and Morgan Slade. We’re not really sure whether the Mirror Balls in Sadie’s photo are any indication of her knowledge of disco music that we associate with these cultural artifacts, but chances are that her future holds many adventures in music as well as art. Liz and Morgan are both accomplished widely exhibited visual artists and also performing musicians in their band “Miss Derringer”, living and working together making creative magic look like an everyday occurrence. Below are some of the videos of Liz and Morgan in their band, “Miss Derringer”. Seattle is home to many wonderful artists and writers and in today’s Miroir we would like to highlight two people who form an essential part of this region’s artistic community. Iskra Johnson is a restless, experimental artist who works with many media including powdered pigment, watercolor, drawing, printmaking, and photography. She is also a writer and the author of the following description of a studio visit with Richard Kehl. 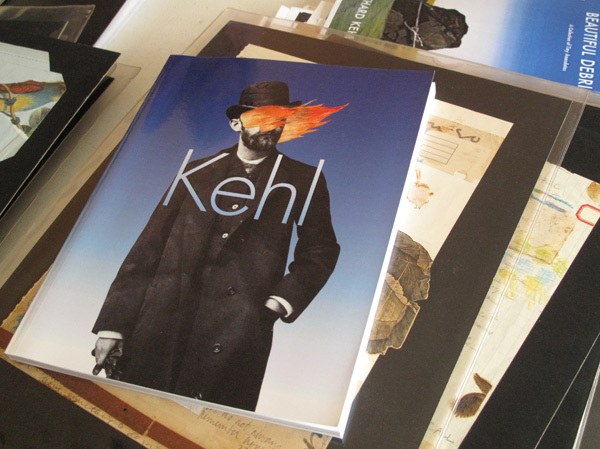 A former art professor at University of Washington, Richard Kehl is a Visual poet, author and provocateur. Please join us on this delightful journey into Richard’s studio with Iskra as our guide.